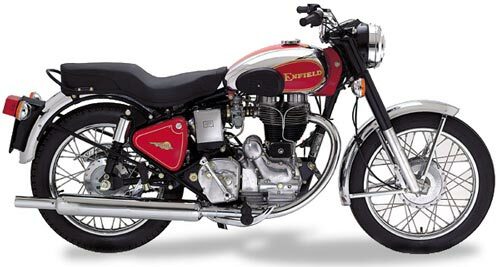 Look for some significant changes for 2006 as Royal Enfield launches the new ElectraX. There is now more variety than ever in the Bullet line up. 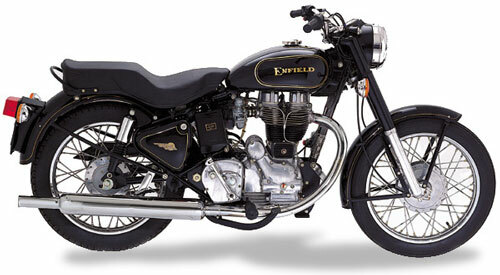 For more pictures and informantion check out the importers site at enfieldmotorcycles.com especially for pictures of bikes transformed by their kits. 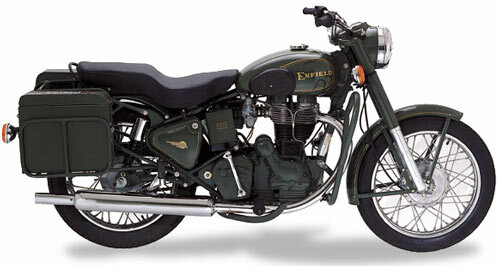 lined pinstripes, four speed transmission with neutral finder, 7-inch double leading shoe front brake and a dual seat. side panels, rubber knee grips, and chrome fenders. The Military is painted all matte olive drab and comes with metal panniers (saddlebags) and crashbars standard. 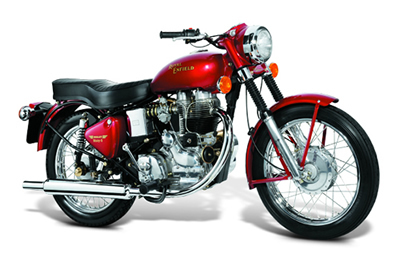 The Classic 350cc model comes in Avon Gray with hand lined pinstripes, four speed transmission with neutral finder, 7-inch double leading shoe front brake and a dual seat. 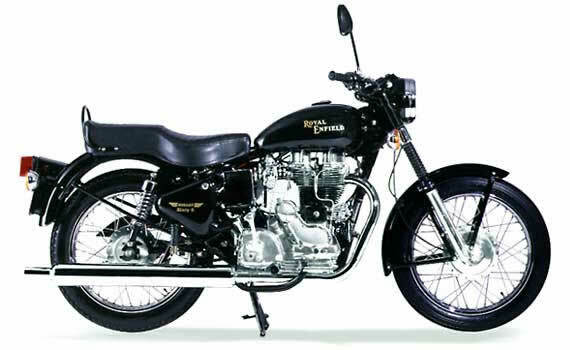 No, it's not a 650, but it is styled more like a model from the sixties! New Bullets For Sale at E.P.&F.